My name is Mark Malatesta, former NY Times bestselling literary agent (and AAR member). And I compiled this Directory of Literary Agents area myself… using my own personal contact database. So you don’t have to worry about it being accurate. Why am I giving you free access? I know that other people are charging for access to literary agent directories like this one (and they’re only half as good). But I’ve done well as an agent, so I figured I’d share the love. So make sure you sign up now and take advantage of it! Here’s a little more information about what you’ll find inside this Directory of Literary Agents area after you register. Once you log in to this Directory of Literary Agents you’ll see that there are more than 1,000 US literary agents/literary agents USA. And I’ve arranged this Directory of Literary Agents so you can find literary agents by city or state. Did you know that there are literary agents in more than 30 states? This Directory of Literary Agents also has international literary agents. Looking for literary agents in Australia, Canada, the UK, etc.? You’ve come to the right place. But don’t query an international literary agents yet. Many of the agents in this Directory of Literary Agents accept submissions for international authors. AAR stands for the Association of Authors’ Representatives. Only one third of all book agents are members, and that’s important because members must abide by a code of ethics. This Directory of Literary Agents reveals which literary agents are members and which ones are not. This Directory of Literary Agents contains more book genre/category listings than any other directory (more than 100). That means you’re much more likely to find literary agents interested in your specific genre if you use this Directory of Literary Agents. Literary agents are people with personalities. Why not choose one that’s interested in your book genre, that you’re also likely to get along with? Browse this Directory of Literary Agents for personal and professional information on top book agents. It’s amazing how much more fun it is to research agents when you have their faces smiling back at you (okay, they’re not all smiling… but even the sourpusses are entertaining). This is one of my favorite parts of this Directory of Literary Agents. Although this Directory of Literary Agents is the best in the world, there are other literary agent directories out there. And I’ll be featuring them here soon. Look for reviews of Literary Marketplace, Publishers Marketplace, The Guide to Literary Agents, and Jeff Herman’s Directory of Agents, and more. Now that you know what this literary agent directory is all about… Get instant access to the Directory of Literary Agents section of our website right now by entering your info in the form to the right. scroll below to learn about some other popular book agent directories. Find reviews and rankings for the ten best literary agency directories, in this guide by former NY Times bestselling book agent Mark Malatesta. You’ll also discover tips to help you compile your list of prospective literary agencies, including insider strategies to protect yourself from bad literary agent directories. The literary agency list that you use to send out queries must be comprehensive and accurate if you want to get a top literary agency and book deal. But which resources should you use to create your literary agent list? Are there any insider secrets to help make the process less time-consuming? 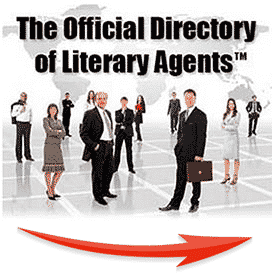 Click here to learn how to create your literary agency list in our Directory of Literary Agents Guide. What do you need to know to protect yourself from bad information and unscrupulous literary agencies, when looking for author representation? Click here to learn about the problem with book agents lists in our Directory of Literary Agents Guide. Literary agent directories are NOT created equal. So which ones are best? And which ones will give you the best return on your investment of time (and possibly money)? Click here to learn about The Ten Best Publishing Agent Lists in our Directory of Literary Agents Guide. This review of the 2013 Guide to Literary Agents exposes the pros/cons of this directory. Although this guide is one of the best sources of agent information, it shouldn’t be the only directory that you use. Click here to read the review and see a sample listing from the 2016 Guide to Book Agents in our Directory of Literary Agents Guide. This review of the Jeff Herman’s Directory of Agents reveals the pros and cons of the directory. Although Jeff Herman’s Directory of Agents is one of the best sources of agent information, it should not be the only resource that you rely on. Click here to read the review and see a sample listing from the Jeff Herman’s Directory of Agents in our Directory of Literary Agents Guide. This review of Publishers Marketplace explores the pros/cons of this online directory. Publishers Marketplace isn’t as well-known as some of the other literary agent directories, because it’s really designed for publishing insiders. But that is one of the reasons it’s so valuable. Click here to read the review and see a sample listing from the Publishers Marketplace in our Directory of Literary Agents Guide. Literary Marketplace< This review of Literary Marketplace (LMP) explores the pros and cons of the directory. Created more than 50 years ago, Literary Marketplace is one of the most established literary agent directories on the market. Click here to read the review and see a sample listing from the Literary Marketplace in our Directory of Literary Agents Guide. Using a free literary agents list to do your agent research is risky. Read this article to find out why some free directories can cost you years of valuable time, thousands of dollars, and (quite possibly) your writing career. Click here to discover everything you need to know about using a Free Literary Agents List in our Directory of Literary Agents Guide. 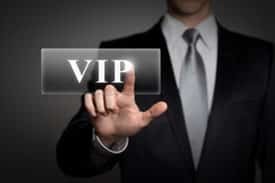 learn How to Create Your Literary Agency List.